The weather data and the Phone battery and wifi strength does not Show on my galaxy s3? Im happy to See this, so im not alone. But we need a solution. Thanks for the info! We'll run some tests on our side. Can you let me know what version of Android you are running on your phone as well? FYI - just tested on my own S3 classic and it seemed to work okay. Note that the phone battery is sent to the watch every 10 minutes, as well as every time you sync a new watch face. Its 8.0.0 on a galaxy s8 Plus. 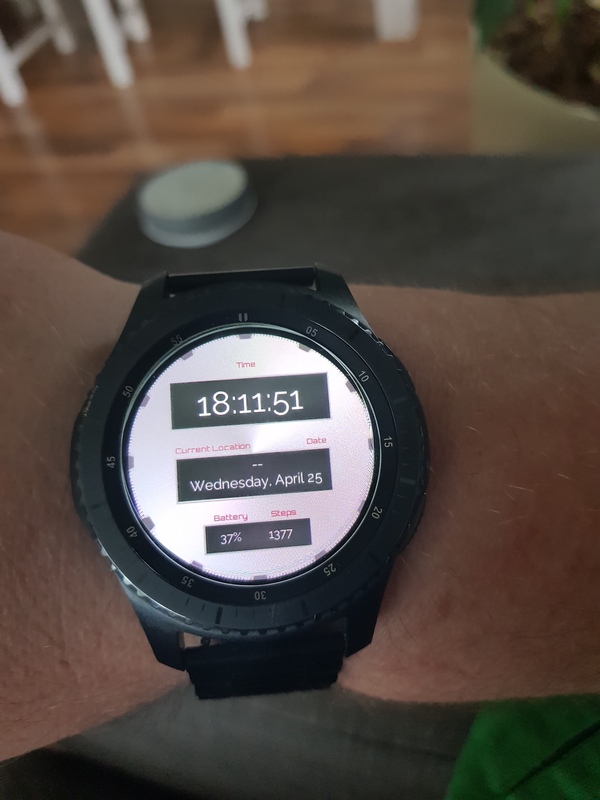 When i sync the watchface its ok, but it will not Update. What about the wifi and the weather? I am using a Galaxy S8 running Android 8.0 and Galaxy Gear S3 and after the most recent updates phone battery info is displaying on my watch, however sometimes it seems to take much longer than 10 minutes to update. I've actually taken the time to time it (no pun intended). It has taken upwards of over 20 minutes at times to actually update. Maybe you can put a settings option the app for us to have it update based on some preset increments such as 1 minute, 5 minutes, 10 minutes, etc. I don't have an issue with the weather updating but I would also like to have some choice as to when or how often this happens. The Phone battery is working, but the weather still dont work. I have the same problem. 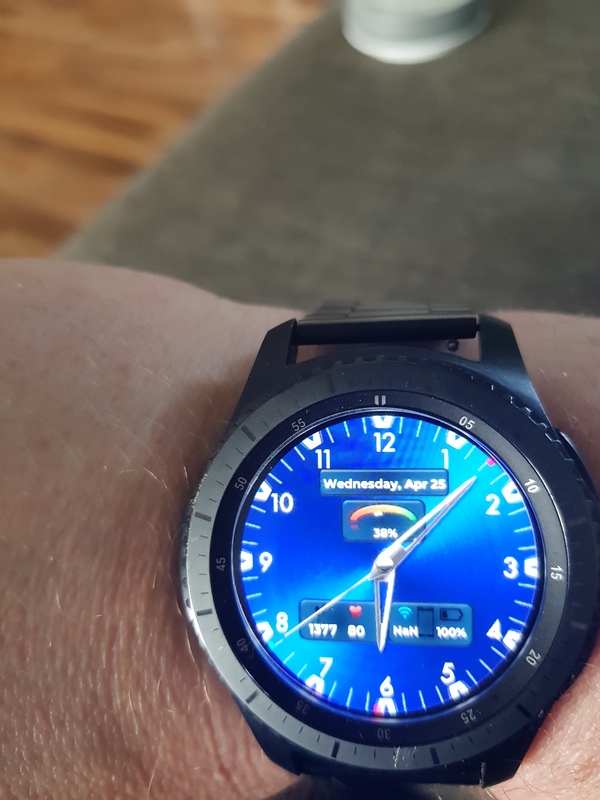 Weather and batery status do not show on samsung galaxy watch. There was a new Facer Companion update posted today which is 4.7.0 Maybe try unistalling the Companion App then installing to newest version. I update Facer Companion to 4.7.0.7, but problem still continues. Than I tried uninstal and reinstal app, but still nothing happend. In this case, app Facer is unusable for me. Faces from samsung werable store does not have this problem.